We found Ty Beic to be very comfortable, very clean, well equipped (including for cyclist/MTBers, as per the name! ), warm, tastefully renovated with a lot of attention to details and a very high finish throughout. The woodwork done by Richard was a joy to look at! It’s a very quiet, rural location with fantastic views, and facing South. As no-one was booked in on the day we left, Karen extended our departure time which made for a nice relaxing day. Charlotte and Mark stayed braved the wet and windy weather to try out so some local routes (roots). The slightly muddy conditions meant they made full use of our bike washing facilities. *I don’t have any photos of our guests so the main photo is of Richard, the wood botherer, taken at Llyn Brenig the weekend before. 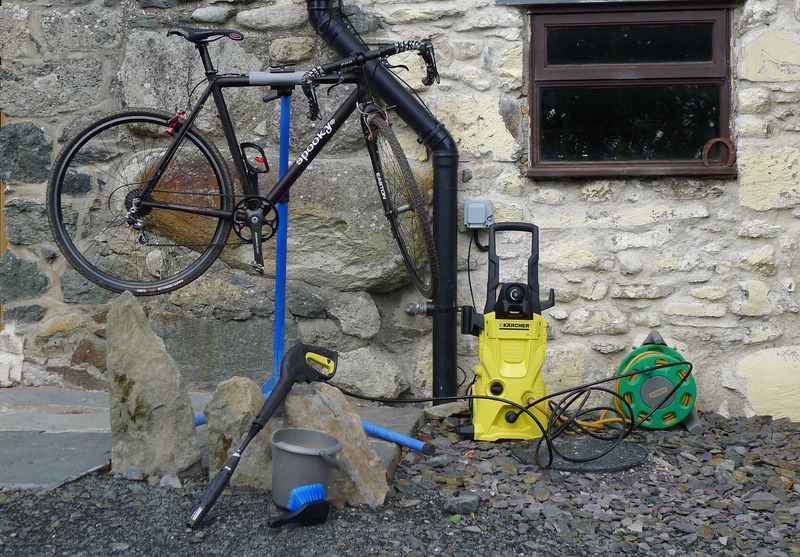 This entry was posted in Cycling Accommodation, Holiday Cottage, North Wales Holiday Cottage, Self Catering Accommodation and tagged cyclocross, mountain biking, mtb, northwales. Bookmark the permalink.